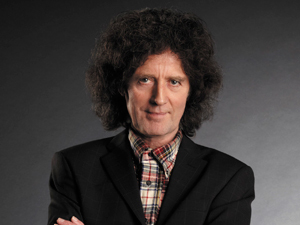 Gilbert O’Sullivan is an Irish singer-songwriter, best known for his early 1970s hits “Alone Again (Naturally)”, “Clair” and “Get Down”. The music magazine Record Mirror voted him the No. 1 UK male singer of 1972. Worldwide he has charted 16 top 40 records including six number one songs, the first of which was 1970’s “Nothing Rhymed” (for further information see Gilbert O’Sullivan discography). Such was his popularity in the early 1970s that “Matrimony”, an airplay and live favourite from his debut album Himself, remains one of his most famous compositions despite never having been a hit single. His album Gilbertville was released on 31 January 2011; it featured “All They Wanted To Say”, which deal with the 2001 attacks on the World Trade Centre, and his most recent single “Where Would We Be (Without Tea)?”. On 26 August that year, the documentary Out on His Own was broadcast by BBC 4. In March 2012, the compilation album Gilbert O’Sullivan : The Very Best Of – A Singer & His Songs entered the UK Albums Chart at No.12.